In just six minutes, Gabriela delivers deep insights into how you can and should use audiences at the core of your digital marketing strategy. Below you can watch the talk in full from Google's Foundry, read a transcript of the talk and look through the slides on Creating an Audience Strategy With Google Analytics. Gabriela: Hey guys, my name is Gabriela. Some of the guys before me already told you about the great things you can achieve once you have the right audience strategy in place. For the next four minutes, we're going to go into the details of how you can use Google Analytics to find those ideal audiences. 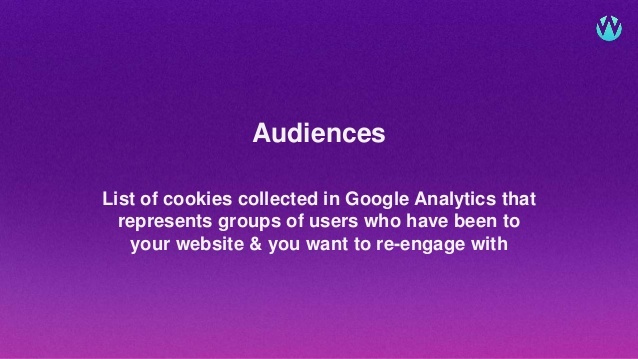 From a technical point of view, they're a list of cookies that you collect from Google Analytics that represent people who have been to your website and you want to re-engage with. The real question here is what do they really mean for you as an advertiser. For you, they're the smartest way you have to find your ideal audience and reach them in a cost-efficient way. This is how we're going to do that. You're going to use Google Analytics as the very centre of your strategy. You're going to use all the data you have in there to create highly efficient audiences that you can later remarket to in search, YouTube and display. Because let's think about this for a second. These are not random market numbers. These are your very own users, sending you what you should be doing and how you should be targeting them. When it comes to audiences this is probably the most common mistake advertisers make. They will create a couple of audiences from users who converted and people who didn't. In some cases, they won't even pay attention to converters. And they will base their entire remarketing strategy on this. Today I want to encourage you to go into Analytics and look deeper because really everything you need is already in there. Let's look at your non-converters first. The truth is that people can go to your website and never come back. So how do you find your really valuable users here? You need to start learning from your converters. Here a couple of tips on how to do so in Google Analytics. First one. Start using Google' Analytics' Segments. In this example, we have created a segment for users who converted and we're using it to compare how they behave differently from the average user. If you pay attention you will see that converters actually spent way more time on the website and they do way more pages than the regular user. So maybe, rather than creating a non-converting, audience you might want to create an audience of users who behave in a similar way and did not convert yet. If you look at this one you will see that only 29 percent of people who converted actually did it after the first interaction. Which means that at least 70% of users visit the website at least twice before converting. This is actually one of our clients, Camino Ways. We tested this one for them. We created an audience of users with at least two sessions that didn't perform any conversion actions. And we target these users on search and told them as seen on our website because we know they've been on the website and we know they're in the middle of a research process. The result was a cost per lead 26% cheaper than the average in this account. Conversion rate was 155% higher and lead volume was 123% higher than all the other remarketing lists in this account combined. So stop losing your time with non-converters and start learning from people who did convert. Speaking of this guys. What do you do here? So these are users who go onto your website. They are your customers. So how do you find value here? You need to find your Supershoppers. You might be wondering now "what does the Supershopper look like?" It can be different for everyone, but I guess it can be someone who shops regularly from your website every month every week or it can be someone who spends more money than the average user. Or it can be someone who does both. Return on AdSpend was very strong for these audiences. 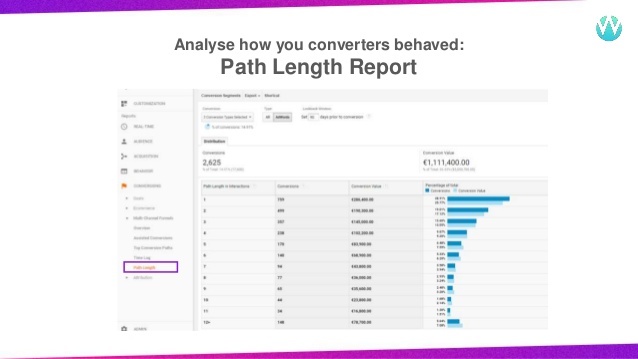 The €150 audience delivered a ROAS that was eight times higher than the average in the account and the €350 audience delivered a ROAS that was 18 times higher than the average in the account. So these guys, right here. They are your priority. These are your guys and these are the people you want to make sure you always have budget for. I guess what I'm trying to say here is you can do much better than converters and non-converters. So I want you to go into your Google Analytics account and start learning, start analysing how people behave up before and after they convert and use those learnings to create a killer audience strategy because when it comes to audiences you're only limited by your own analysis and imagination.